Have you ever wondered what books to get to read to your kids? 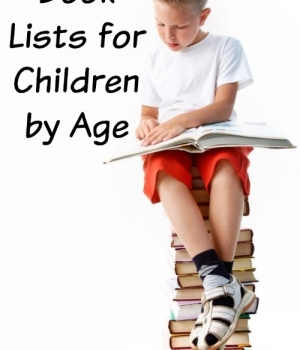 Sometimes it is nice to have a list of books appropriate for different ages of children. Each year of my children’s lives, I’ve put together a favorite list of books that we have enjoyed throughout the year. These are books that have been read countless times and are the best of the best! Remember that a 3-year-old may still enjoy books from when they were babies. And, a new 6-year-old reader will enjoy reading some of the easy and familiar books they listened to as toddlers. Of course, a child’s interest will often trump any age appropriate list and I have plenty of those lists too! Looking for book lists all about horses, a new sibling, autism, colors, holidays or learning to ride a bike? I have you covered. Just click on the link below to take you to all my topic book lists. Now, here are our favorite books for children by age! We are always creating great book lists for you. New book lists are created each month. See all of our themed book lists. We also share lots of book-related activities and literacy ideas. Make sure to sign up for our newsletter so you never miss a list! Just click below to sign up!